Those were my initial feelings when I heard of the plans to release a new posthumous Michael Jackson album composed of songs ‘from his archive’. It didn’t surprise me that a record label had found yet another way to generate money utilizing Michael Jackson’s name and image (and songs which Jackson never intended to share with the public). What has surprised me is the excitement this new album has stirred among tried and true Jackson fans. Are they the victims of a marketing and publicity blitz – or – are they open to the fact that, although the circumstances aren’t ideal, this is an opportunity to hear ‘new’ music from one of the greatest performers in music history? My plan was to ignore this new album – this Frankenstein creation. In my opinion, unearthing older Jackson songs that were never meant to see the light of day; splicing Michael’s vocals with the voices of current pop stars while giving producers the goal to make the music sound ‘contemporary’ and ‘radio friendly’ seems more horrific than anything portrayed in the “Thriller” video. I was planning to hold my own personal protest. Instead of buying and listening to this new album – I would listen to Thriller (yet again) from start to finish (that’ll show them!). And then maybe move on to Bad – and then back to Off the Wall. But I have to admit I’m curious. I’m curious to hear what these songs sound like. Will any of them come close to being as good as “The Lady in My Life” or “Beat It” or “Human Nature”? And I’m curious to see how I’ll react. Is there anyway I can listen objectively? Well, there’s only one way to find out. So – I’m going to listen to this new album – and I’ll share my reaction with you. But I’m also interested in hearing your thoughts on the subject. How do you feel about posthumous releases? Crass record label money-making technique – or a gift to fans? Please let me know your thoughts in the comments. Now – I’m going to prepare to listen to this new album. But first . . . maybe I’ll listen to Thriller, one more time. 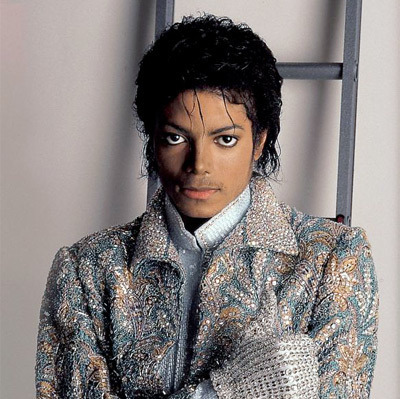 Previous Michael Jackson posts can be found here and here. 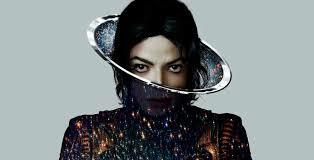 This entry was posted in Michael Jacklson, Number Ones, Tribute and tagged Beat It, Human Nature, Michael Jackson, Music, Pop Music, The Lady in My Life, Thriller, xscape, zero to hero, zerotohero on May 14, 2014 by Sean. Don’t buy it. Listen to it on Spotify. Besides, who does all the MJ money go to now? If the answer to your question were ‘Blanket” I’d buy 10 copies of the album. Blanket needs the money – I feel like he’s the Bobby Draper of the Jackson family. I think it can be a double edged sword a gift and a curse. It depends on how they approach it. I am hoping that there were enough people involved that cared to ensure that Michael’s integrity in his music is kept alive.